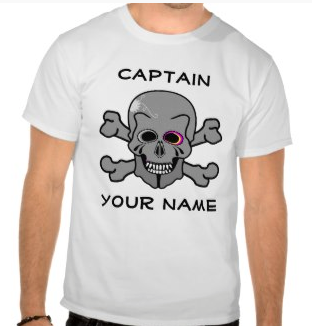 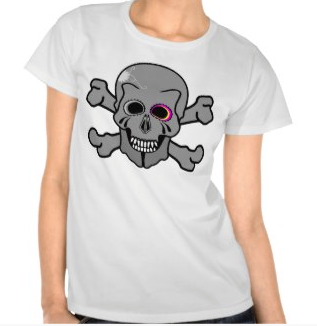 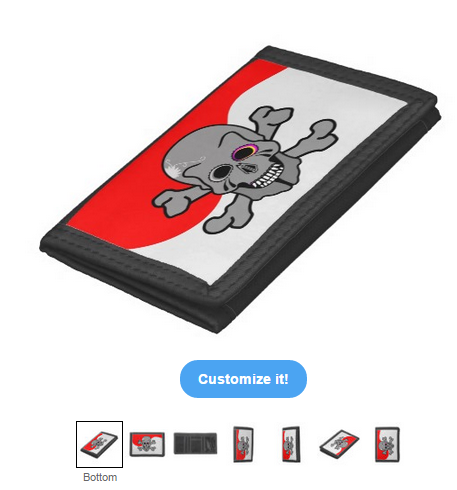 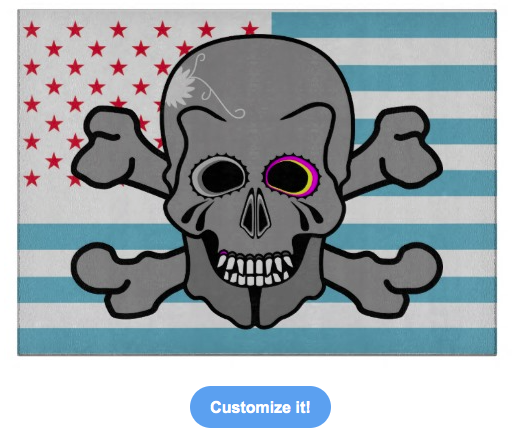 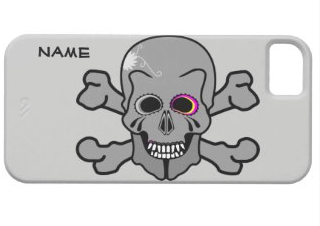 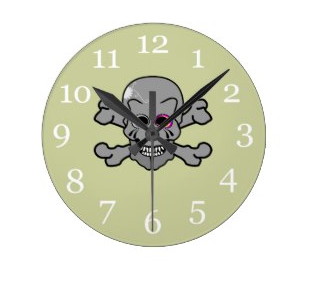 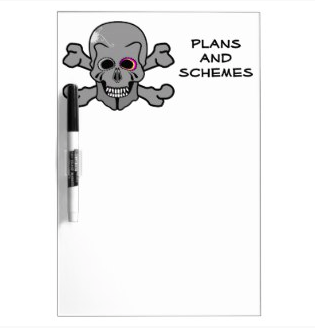 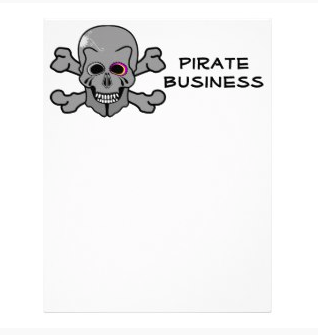 This Jolly Roger design can be found on a variety of products in my mailboxdisco store. 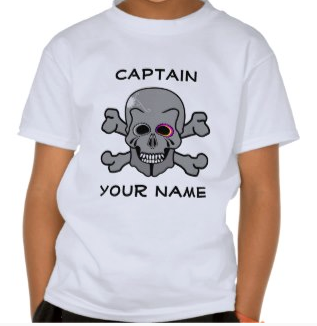 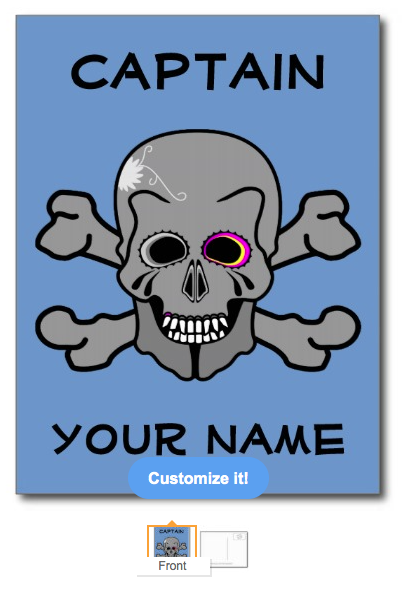 A Skull and cross bones, Jolly roger with customizable text. 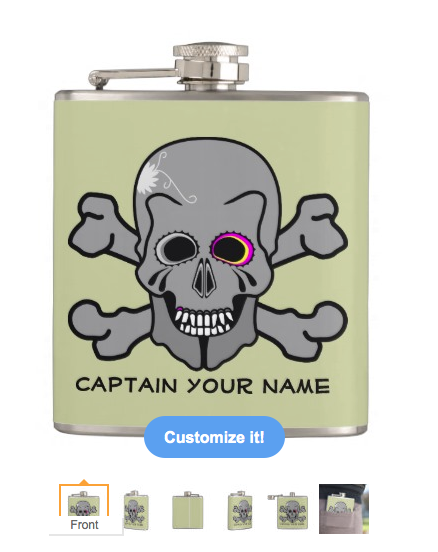 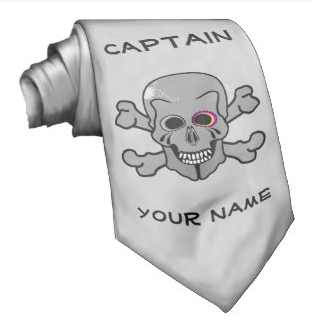 The text reads captain, and has a place to put your name or a name of a boat. 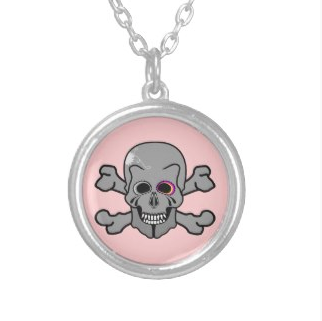 The skull is grey and black and is decorated with a pink eye. Behind the skull there are two crossed leg bones. 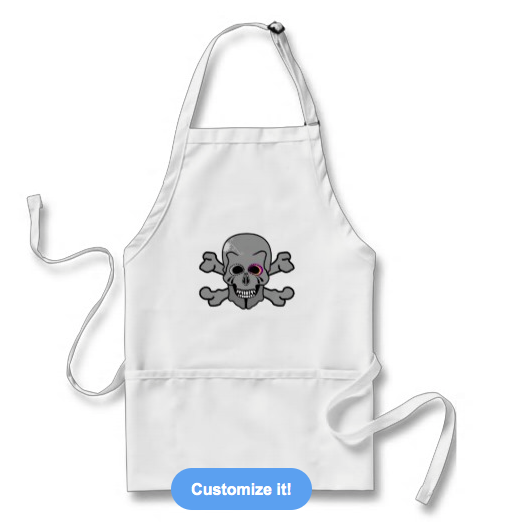 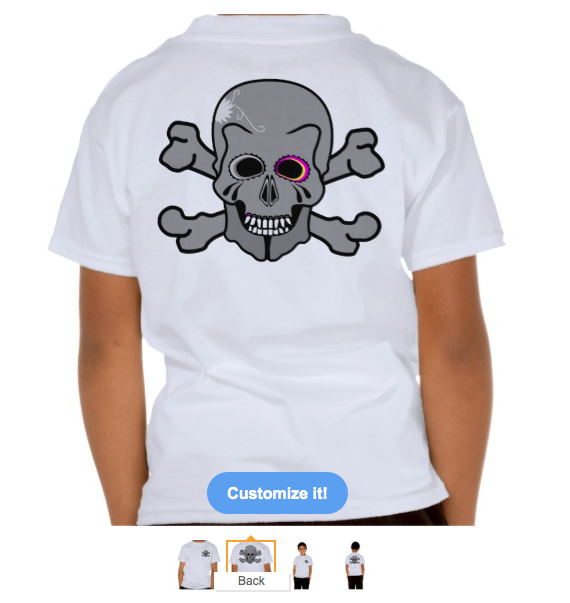 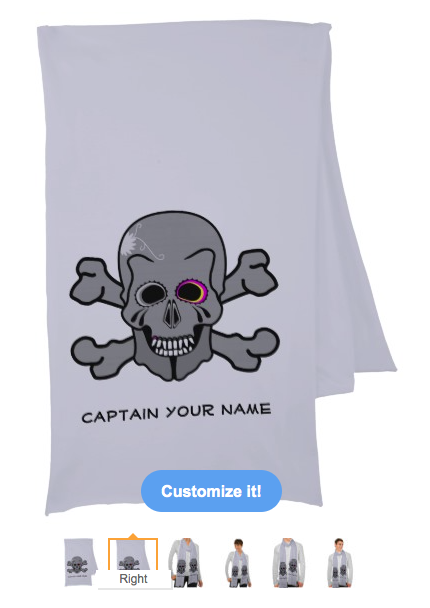 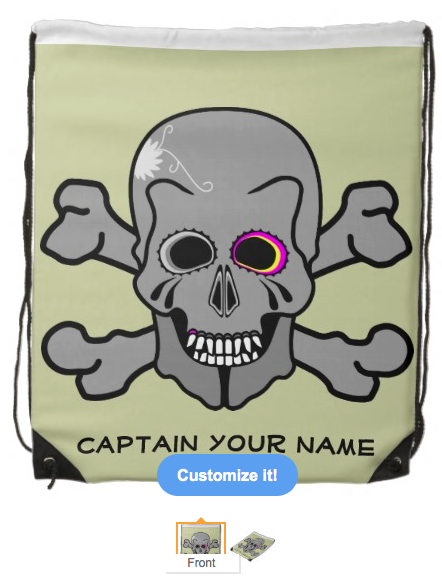 This Jolly roger / skull and cross bones, pirate flag design features a black and grey skull with human leg bones crossed behind it. 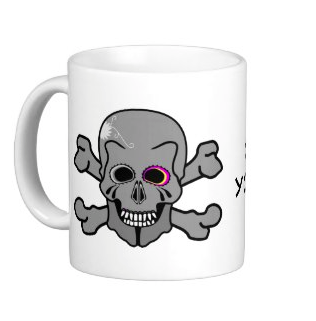 As a point of difference, one eye and a tooth have been highlighted in pink and yellow.